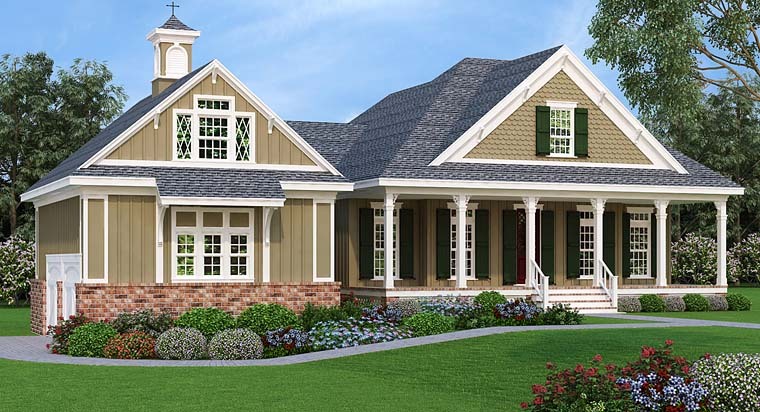 This delightful Southern Cottage is designed especially for sites with a gentle slope to the garage side. 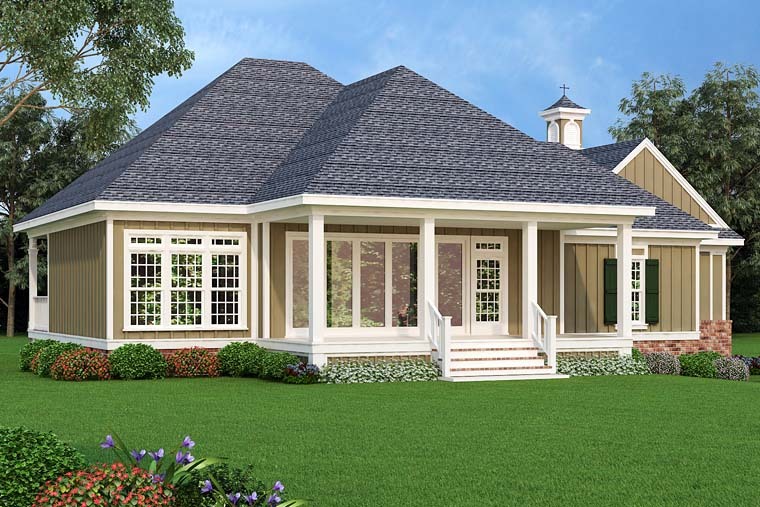 The dropped garage floor allows for extra attic space above the garage large enough to house a complete bedroom suite. 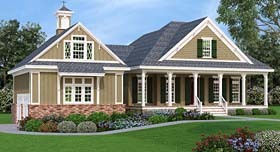 With its unique location, the garage bedroom is suitable for that teenager in the family or even live in parents or guest. It is even large enough to serve as a second master suite. The main level master suite features a tray ceiling and an adjoining plush bath complete with dual vanities, private toilet area, large walk-in shower and two linen closets. A large walk in closet has 30’ of hanging space and a place to sit while dressing. 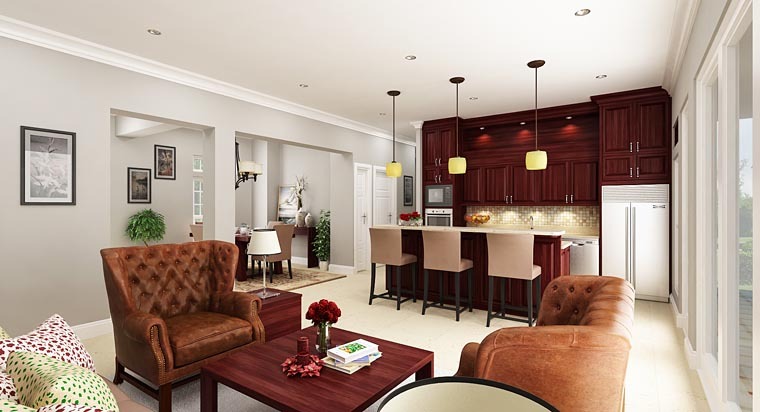 The kitchen is fully appointed and it has a large raised eating bar.The dining room has a niche for a china cabinet and the foyer has a niche for a foyer piece. Both the dining and the foyer have multi level ceiling treatments. A large walk-in pantry is located near the door leading to the garage which makes it so very nice for unloading all of those grocery items after a trip to the grocery store. A smaller pantry is located near the kitchen for storing those items used daily. Perhaps the best feature of this compact small design is the office or hobby space with a built-in desk located near to the kitchen. Click Here to download a free PDF Brouchure of Plan Number 76921.